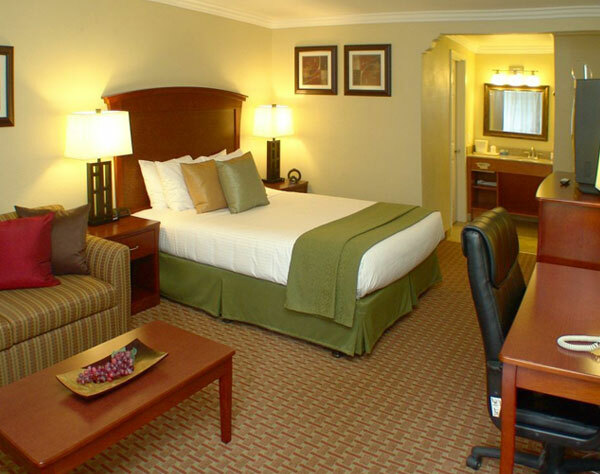 Settle in to our family friendly accommodations that feature amenities designed for both comfort and convenience. Contemporary decor and plush beds invite you to spread out and relax. Large windows offer plenty of natural light, views of the redwoods and soothing mountain vistas. Complimentary Wi-Fi, flat screen televisions, cable channels, and complimentary newspapers keep you in touch and entertained during your stay. Surround yourself with the beauty of nature in our spacious single king rooms that feature a premium king sized bed, crisp linens, free Wi-Fi, cable TV, complimentary newspapers, and serene views of the redwoods. 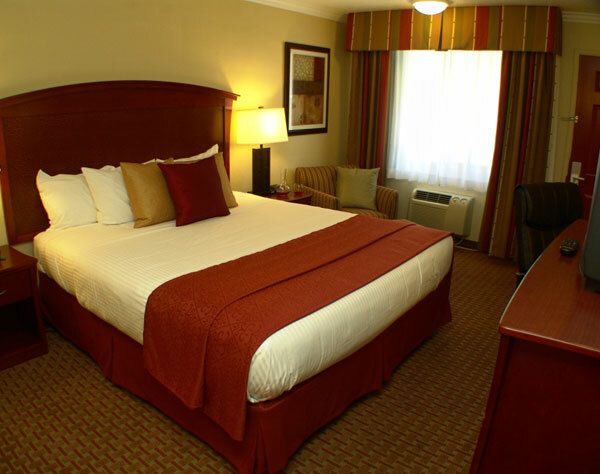 Perfectly suited for singles or couples, our spacious single queen rooms offer a premium queen sized bed, crisp linens, free Wi-Fi, cable television, complimentary newspapers, and relaxing redwood views. 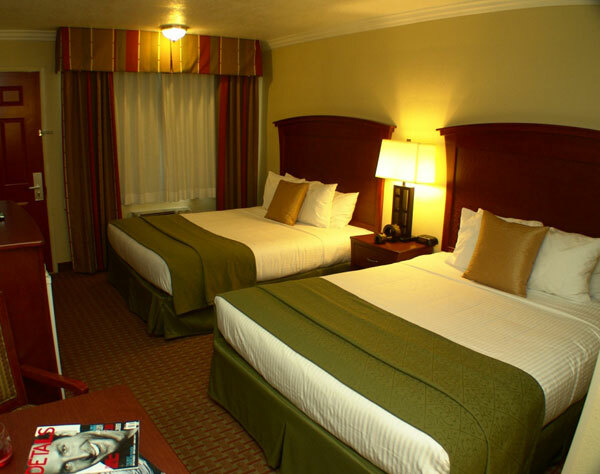 Families can really spread out in our spacious double queen rooms that include two premium queen sized beds, crisp linens, free Wi-Fi, cable TV, complimentary newspapers, and views of the trees. 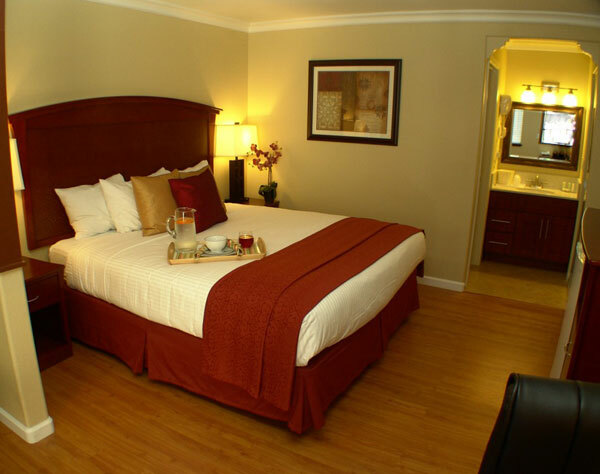 Ultimate comfort awaits in our spacious single king suites that feature a premium king sized bed, crisp linens, a pull-out sofa sleeper, free Wi-Fi, cable TV, free newspapers, and panoramic redwood scenery.